Is the mobile game space ready for an online community? Gaming on mobile devices is getting more and more popular, yet mobile game community services have not. Some may attribute this to mobile gaming not yet being mature enough for such a community. I attribute this to no one doing the community aspect right so far. Read on for who can get the job done. The only one to come close is the one that recently failed, NGage. Nokia's NGage service recently announced that it would be closing its doors by the end of next year. On the surface it seemed to have all of the right ingredients to making a successful mobile gaming landscape. Such features were: stat tracking, community ranking, centralized game store, community blog and forum, and a means to add players to you friends list. The problem with NGage is not what it had, but what it lacked. It was missing many of the social integration means that make these services worth while. There were none of the friend list features that allow you to chat in game, share screenshots, unified multiplayer system etc. These social features are what makes gaming communities like XBox live, PSN, steam and xfire as popular as they are. There are two gaming communities that could easily move to the mobile space. These are XBox Live and PSN. There have been rumors and hints of this happening for awhile now, but nothing has come yet. The existing user base of both communities appear to be anxious to take their social gaming experience with them on an always connected mobile device such as a smartphone. Both Microsoft and Sony have conduits to which they could port their gaming communities as well. Microsoft has Windows Mobile / Windows Phone and Sony has Sony Ericsson joint venture phone manufacturer. 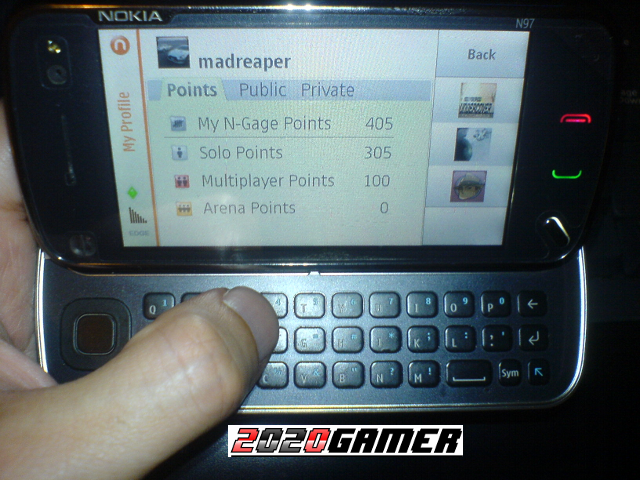 Sony has gone as far as to bring the PlayStation 3's media remote play feature to a mobile phone (Sony Ericsson Aino). This put them just a couple of steps off from making a full PlayStation phone. With smartphone sales on the rise, perhaps its time one of these gaming companies bring out a gaming oriented smartphone that integrates with their existing gaming communities. The demand is obviously there, it is just up to one of these companies to capitalize on it. Sony and Microsoft, are you listening?! Do you believe that the mobile world is ready for such a community driven gaming platform?